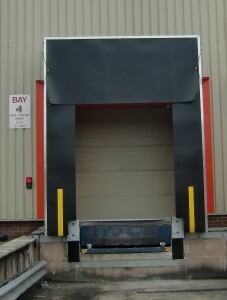 We are proud to claim our Dock Leveller repairs services are second to none. 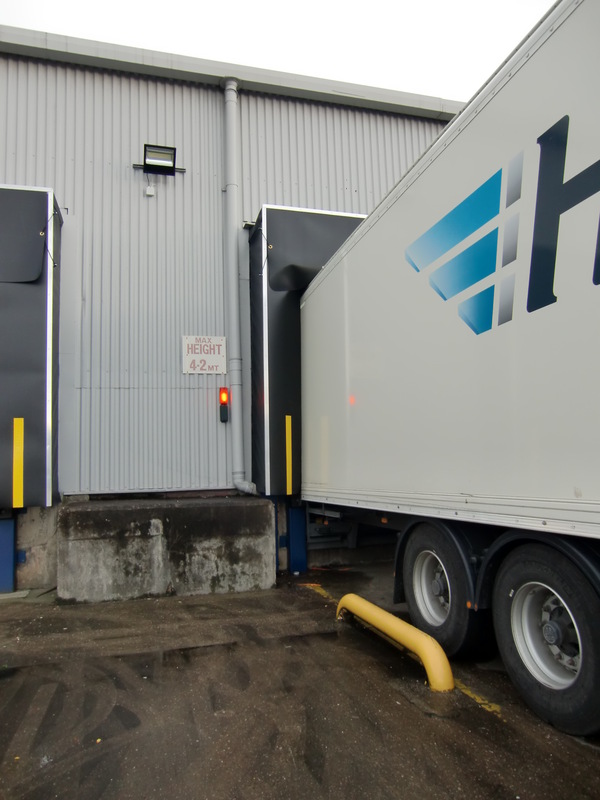 We carry out repairs and replacement of Hydraulic Rams, Hydraulic Hoses, Power Packs, Control Panels, Mechanical Parts and components. 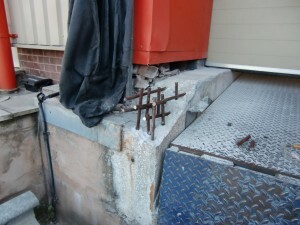 We also carry out welding repairs, Ramp and Lip replacements as well as structural steel support frame repairs. 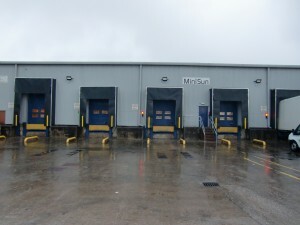 Whatever your needs maybe you can be assured we have the most economical solution to the problem. 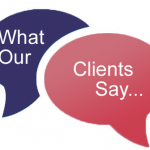 On numerous occasions Door Industries UK have been called to different sites around the UK to survey and assess a viable plan of action to rectify these issues. 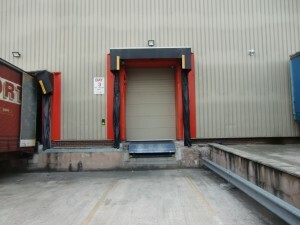 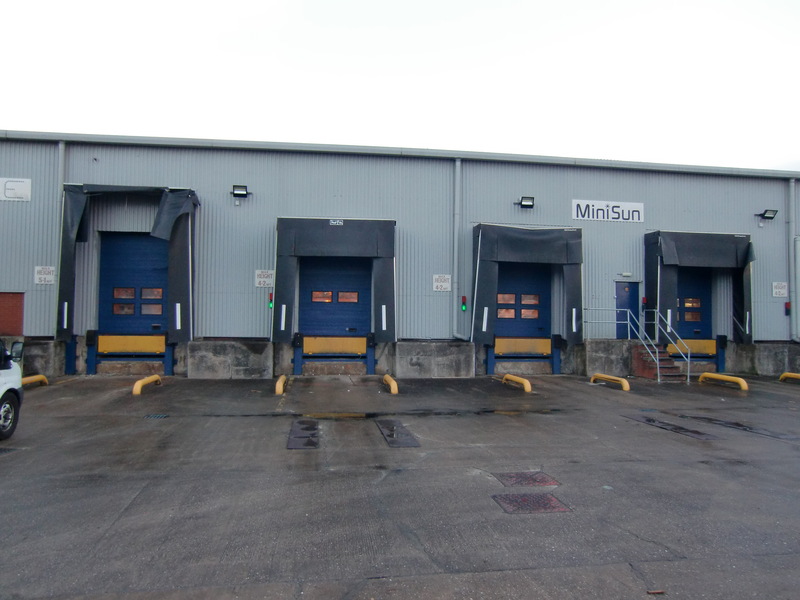 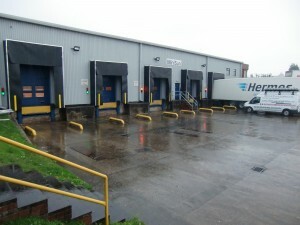 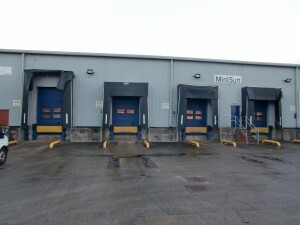 We are proud to say our Dock leveller and loading bay repairs are second to none. 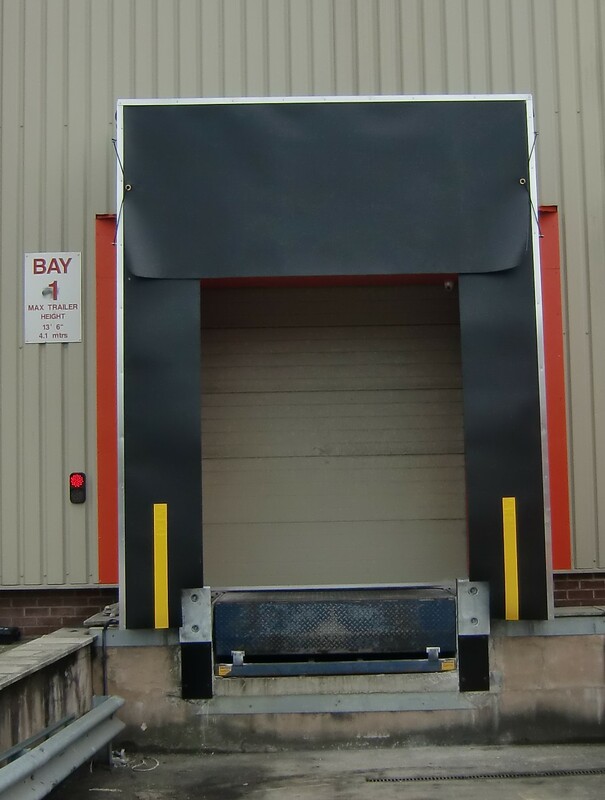 We can repair / refurbish all apects of the Loading bay including Dock shelters, Dock bumpers, Dock lights / Traffic lights, Hydraulic Dock levellers, manual Dock levellers and of course the Loading bay Doors. 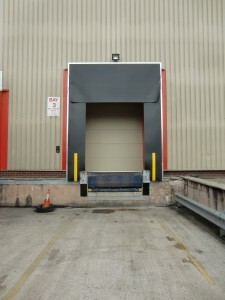 Below you can see some images of Loading bay refurbishments we have undertaken. 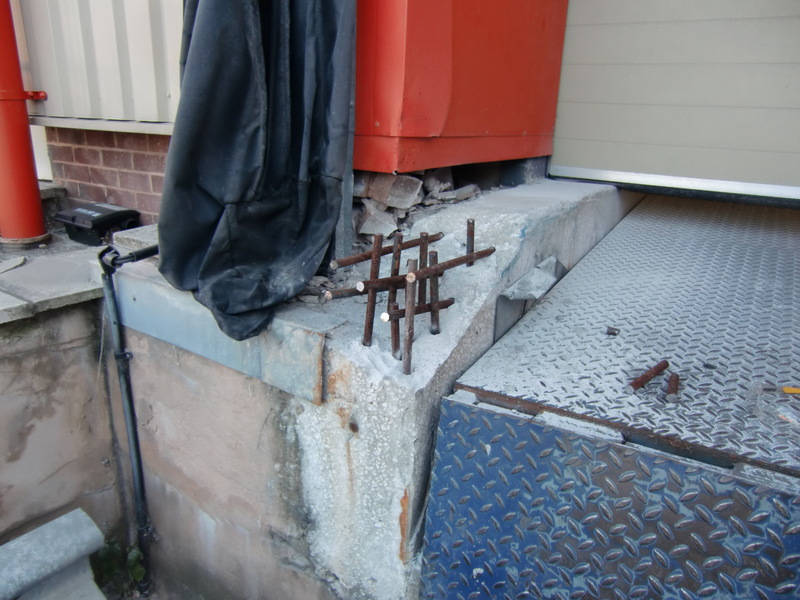 In these photos you can see the damged concrete from numerous trailers being backed onto a Loading bay which is missing the Dock bumpers, you then see a photo where we have drilled and inserted solid steel reinforcing bars in to the concrete. 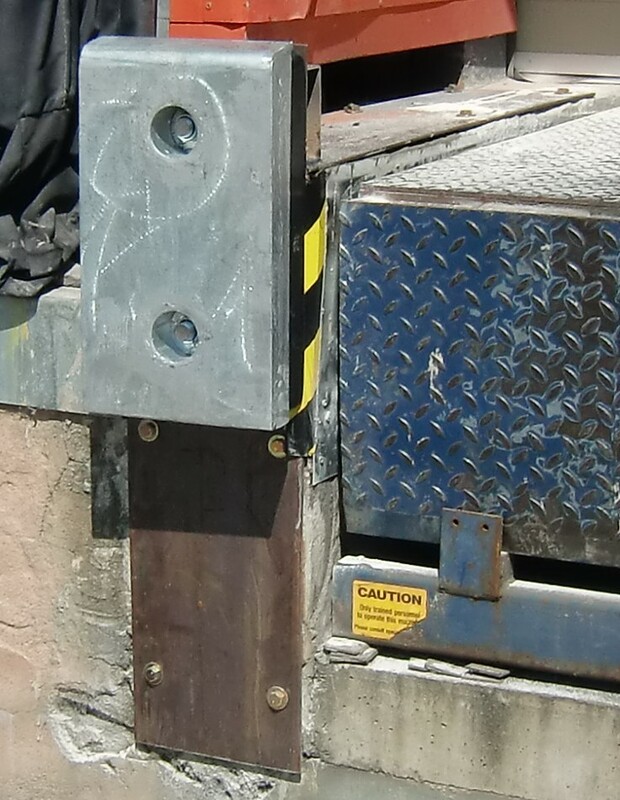 We then installed 250 mm x 8 mm flat steel bars horizontally and vertically, new concrete was then poured into the void around the reinforcing bars and the Dock bumper with a steel armour plate installed. On this particular site we carried out a total of 6 Dock bumper refurbs. 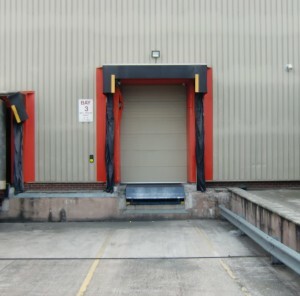 The Fourth photo you can see the fully refurbished Loading bay complete with new Dock bumpers, new Dock shelter, minor Dock leveller repairs including a service and 2 Dock shelter corner pads which can not be seen but enclose the gap on the under side of the Dock shelter. 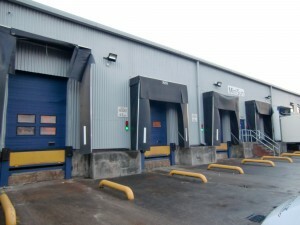 Whatever your needs maybe you can be assured we have the most economical solution to the problem. 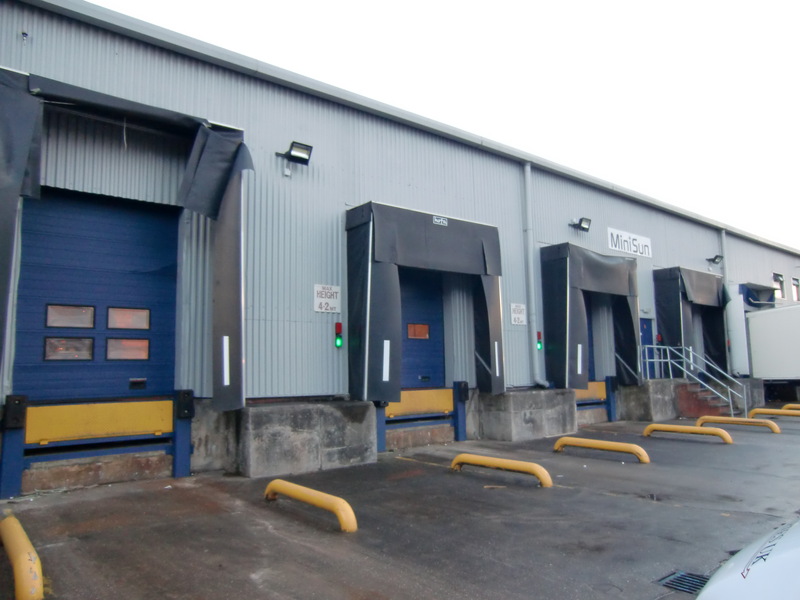 Completely refurbished Loading bay before and after photos. 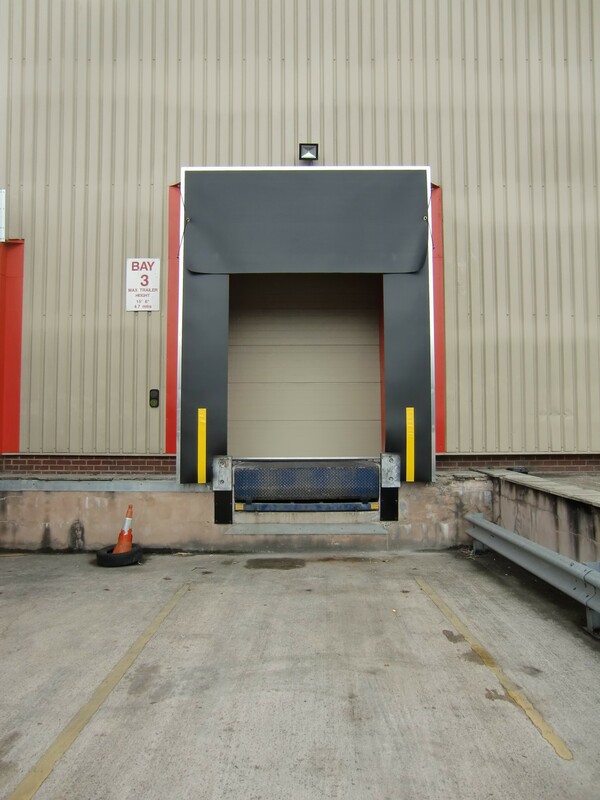 Other than Dock Levellers we carry out repairs to all types of Industrial & Commercial doors: Roller Shutter Doors, Sectional Over Head Doors, Steel Hinged Doors, High Speed Doors, Aluminium Doors, Automatic Doors, Electrical operating equipment, Motors, Gates, Security Grilles. We pride ourselves on offering same day Door and Roller Shutter repairs, with a first time fix rate of over 90% on initial visit! Be sure that there are no hidden extra costs! 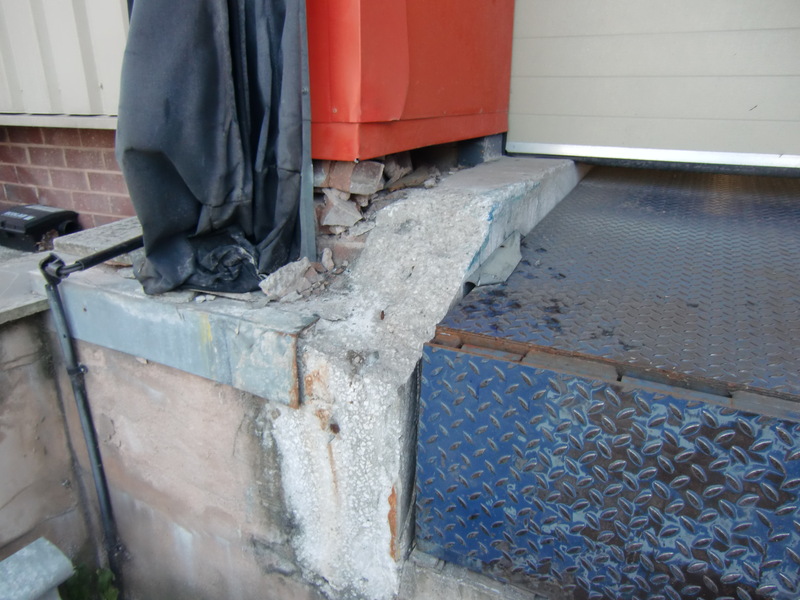 When we arrive at the site and assess the damage, you will receive a full report explaining the cause of the damage, how we can rectify the issue and a price of the works to be carried out. 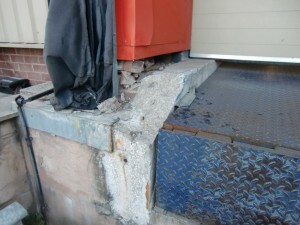 We can also take before and after pictures to show you exactly what was wrong and what we have done to fix it.